Volvo has received the largest order to date for the company’s electric bus system. The order is for eleven electric hybrid buses and two electric bus chargers in the city of Namur in Belgium. The chargers will be supplied by ABB. Local operator TEC will purchase the bus system as a turn-key operation. This means that Volvo takes full responsibility for vehicle servicing, battery maintenance as well as maintenance of the standard-based charging stations for a fixed monthly cost. The buses are expected to enter service towards the end of 2016. 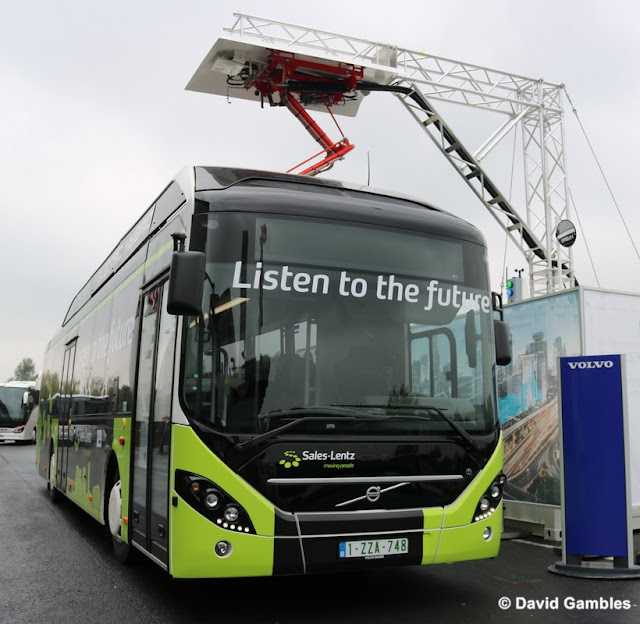 Volvo’s 7900 Electric Hybrid operate quietly and free of emissions on renewable electricity for approximately seven kilometers. The batteries are fast-charged in just a few minutes at the end of each route and also by the energy generated whenever the vehicle brakes. The buses also have a small diesel engine, which increases reach and flexibility. The ABB bus chargers are easy to integrate into existing bus routes. The vehicle pantograph makes use of low-cost and low weight materials on roof of the bus. The modular design offers charging power of 150 kW, 300 kW or 450 kW. ABB’s proven suite of connectivity features enables maximum availability and fast service response. Volvo claims.The bus can be powered by electricity for up to 70 % of operating time, running quiet and exhaust-free in this mode. The CO2 emission is 75–90 % lower compared with a conventional diesel bus, and depending on the fuel used. The vehicle is equipped with an electric motor, batteries and a small diesel engine. The batteries are recharged at the end terminals in a few minutes. Main manufacturers of electric vehicles, Irizar, Solaris, VDL and Volvo have all agreed to a common operating system to ensure the interoperability of electric buses with charging infrastructure provided by ABB, Heliox and Siemens.